"It's staggering how much was lost. The question is, which areas will regrow and which areas won't," said Lola Fatoyinbo, a remote sensing scientist at NASA's Goddard Space Flight Center in Greenbelt, Maryland and the Florida project's principal investigator. "This is an opportunity — with all these data, we can really make a difference in understanding how hurricanes impact Florida's mangrove ecosystems." "We want to know how fast this transition is happening. Combining the spatial changes measured by satellite with the structural information we measure from the air we can estimate where the key habitats are that are most vulnerable to hurricanes and saltwater intrusion," said David Lagomasino, a remote sensing scientist at Goddard. A team of scientists worked with local land managers, including the Everglades National Park and Florida Fish and Wildlife, to plan and execute data-collecting flights in April 2017 for a scientific instrument called Goddard's Lidar, Hyperspectral and Thermal Imager, or G-LiHT. G-LiHT collects multiple measurements simultaneously, including the heights of the vegetation from a lidar instrument, and high-resolution photographs. "We had this amazing dataset – then the hurricane went through," Lagomasino said. Hurricane Irma, with winds upwards of 140 miles per hour (225 kilometers per hour), swept through the Everglades National Park on Sept. 10, 2017. "Hurricanes are a natural part of the ecosystem, and we know that after hurricanes the ecosystem does return for the most part. But not a hundred percent." 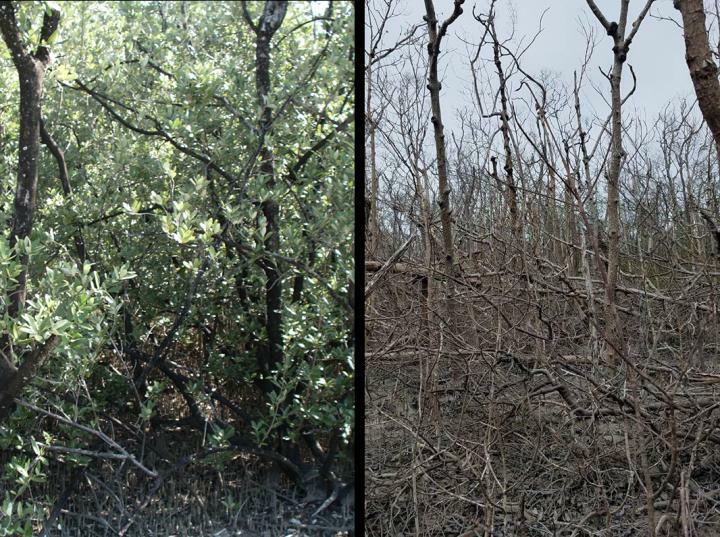 Areas without surviving or regrowing mangrove trees may put neighboring ecosystems at risk of additional impacts from storm surges and saltwater intrusion. "The number of downed trees, just completely splintered in some cases, was impressive to see," said Lagomasino. The team now plans to compare datasets from before and after the hurricane to see if the areas that were under stress before the storm – whether from saltwater encroachment, nearby developments, or other reasons – correspond with the areas that don't recover as quickly, or don't recover at all. Lagomasino would also like to look for other damage patterns and estimate tree mortality. Collectively, the G-LiHT data will help provide a better understanding of the vulnerability of Florida's coastal ecosystems to storms. "There's so much data, and we're trying to see now what could give us important information about the landscape before we head into the next hurricane season," Lagomasino said. "There's a lot to do." The team will fly the same flight paths they surveyed in March 2017, with some additional routes designed to gather data over landslides and other sites of interest. As they did in Florida, they'll work with local ecologists and forest managers to tie what they measure from the air with what they measure from the ground. "It's a good way to document which areas were more susceptible to events like Hurricane Maria," said Bruce Cook, G-LiHT's lead scientist at NASA Goddard. "And also it's a way to start tracking recovery as well. A lot of people are interested in the recovery, and what we might be talking about in terms of reestablishing the forests in the future, and whether it will require human intervention."